Share the post "Don’t worry about rainy days! 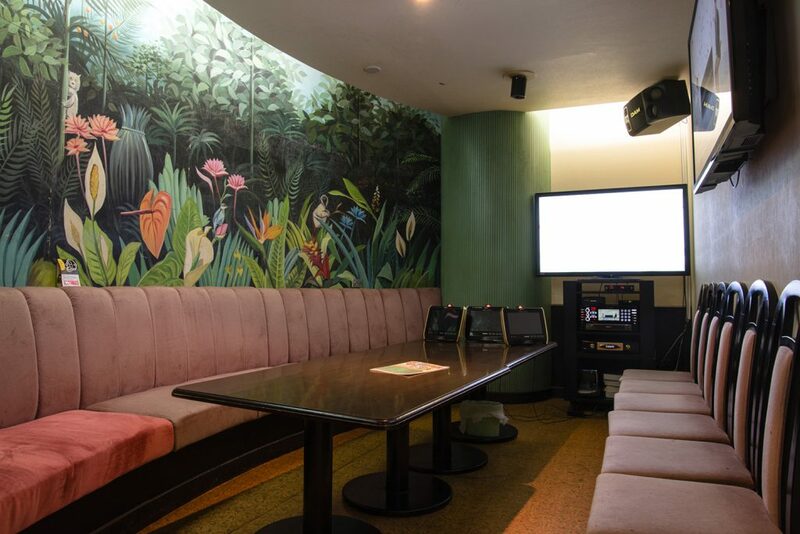 Come and have a karaoke party with friends and family in your own private room! Flamingo (Mashiki, Ginowan City)"
You went through a lot of trouble to come to Japan, but the weather isn't good; or you have some time to kill until your next plan; or do you simply want to enjoy local entertainment? If this is you, how about going to a karaoke box as your next plan? 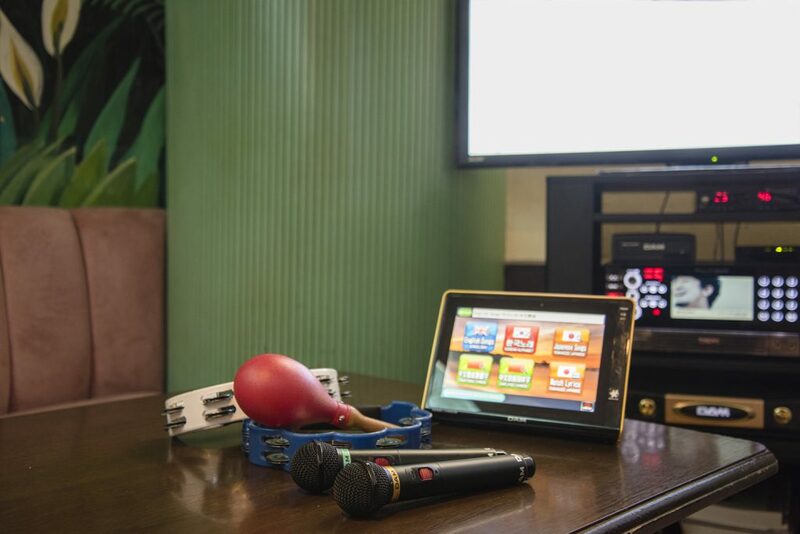 Karaoke comes from Japan, and it can be enjoyed in Okinawa in a variety of ways. There are clubs and snack bars that allow you to sing in front of other guests while drinking. 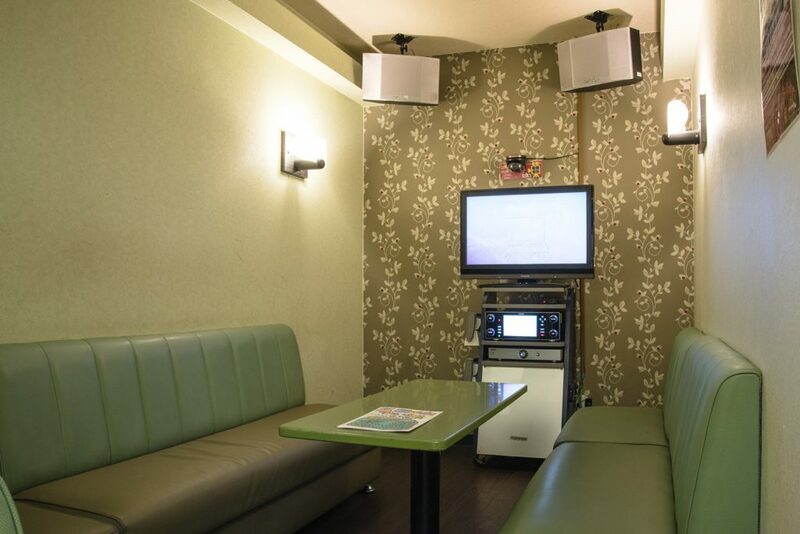 However, at a karaoke box, you can feel free to enjoy karaoke with people you know. It is the perfect place to spend private time with family and friends. "Karaoke Party House! Flamingo" in Mashiki, Ginowan City, is located between the National Route 58 and the Ginowan Bypass, close to the west coast of the island. It is open from 1 pm to 4 am. It is also a short distance from the convention center, beach, marina, and hotels that cater to foreign tourists. What kind of place is a karaoke box? We've thoroughly thought it through! When you go up the stairs and enter the store, you will be greeted by Shingo Ishikawa (left), the staff and Mr.Ikei, the manager at the reception counter. They will greet you with "Welcome to Flamingo" and show you to your karaoke box! "At this establishment, we offer courses ranging from 1,300 yen to 1,800 yen for two hours per person. 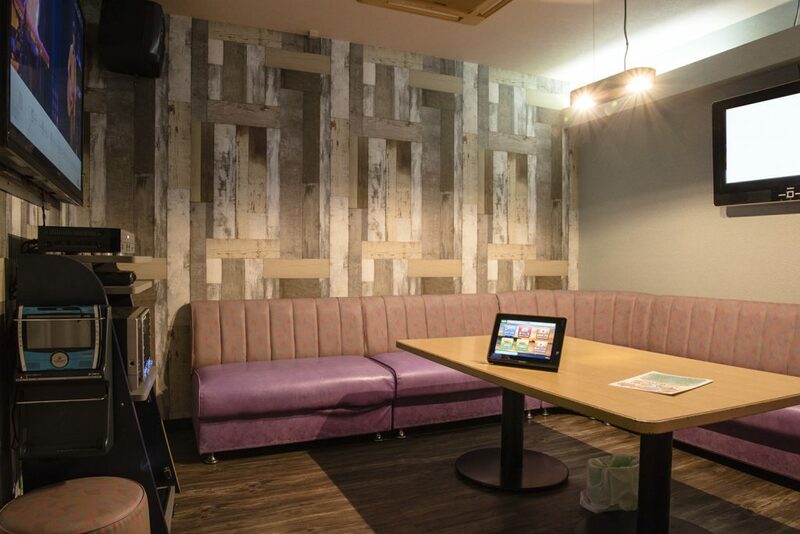 Rates include room usage, all-you-can-sing songs, all-you-can-drink, and all-you-can-eat, "says Ishikawa. 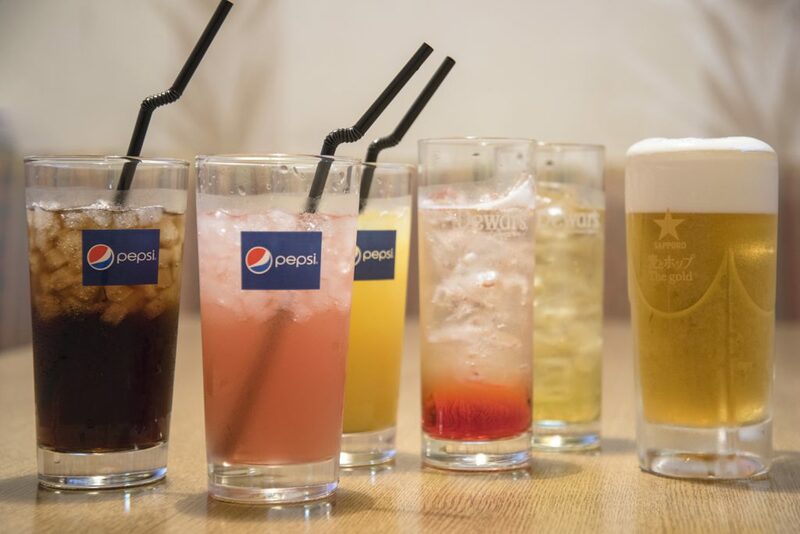 All you can drink soft drinks cost 1,300 yen. However, all alcoholic beverages, such as beer, are most likely to be 1,800 yen. We have a variety of large and small private rooms; 14 in all. We have six small rooms that fit up to 5 people; just the right size for couples and families. The room interiors have varied designs. Besides that, we have middle-sized rooms (photo above) available for 10 to 12 people, large rooms for up to 20 people (photo below), and party rooms that can accommodate up to 25 people. According to Ishikawa, our rooms can be acquired relatively smoothly during the daytime on the weekdays, but may be fully occupied on weekend nights. It is highly recommended to make a reservation from the front desk of your hotel. You can enjoy Japanese anime songs, songs in other languages, etc. with high quality sound. Snacks, whole meals, and desserts are available. Now, its karaoke time! 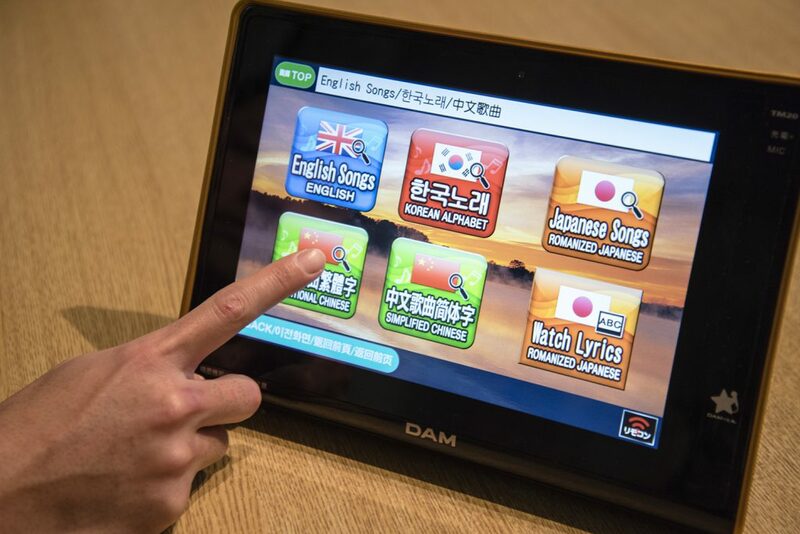 Choose your song using the touch panel. Don't worry if the touch panel is in Japanese. You can change the language to either English, Korean, Mandarian, or Simplified Chinese. Not only do we offer Japanese hit songs and anime songs, but also a surprising number of European, American and other Asian artists songs. Furthermore, the quality of the sound equipment, such as the speaker and the microphone, is high; and the lyrics are also displayed on the large TV screen in the room. Therefore, you should be able to sing joyfully, even when you aren't fully confident in your ability to sing the song and/or you can't remember the song lyrics properly. If you are getting hungry while singing and dancing, you can order food here, at an extra cost. Assorted snacks, fried platters, and/or cheeses and sausages can be shared with several people for 840 yen each. We offer other items too, such as pasta, fried rice, pancakes and other treats, all at a reasonable price. Fun at a reasonable price is waiting for you at our karaoke box! Well, how about it? You'll enjoy a little bit of Japan's unique technology, and it'll become a highlight of your trip! 25 parking spaces available on the first floor. * Not valid for alcoholic beverages. * This coupon is limited to groups using a room that amounts to 1,000 yen or more. * Only one coupon may be used per group. * This coupon can not be combined with additional discounts.